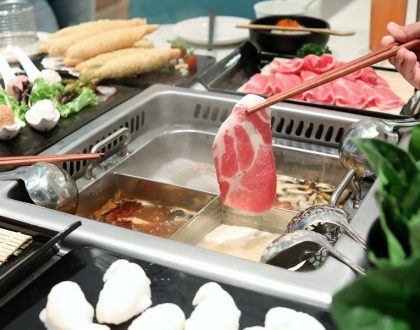 Vinegar is getting bigger in Singapore. Just keep a lookout on the number of supermarkets and stores selling vinegar from Japan, Korea and Taiwan. 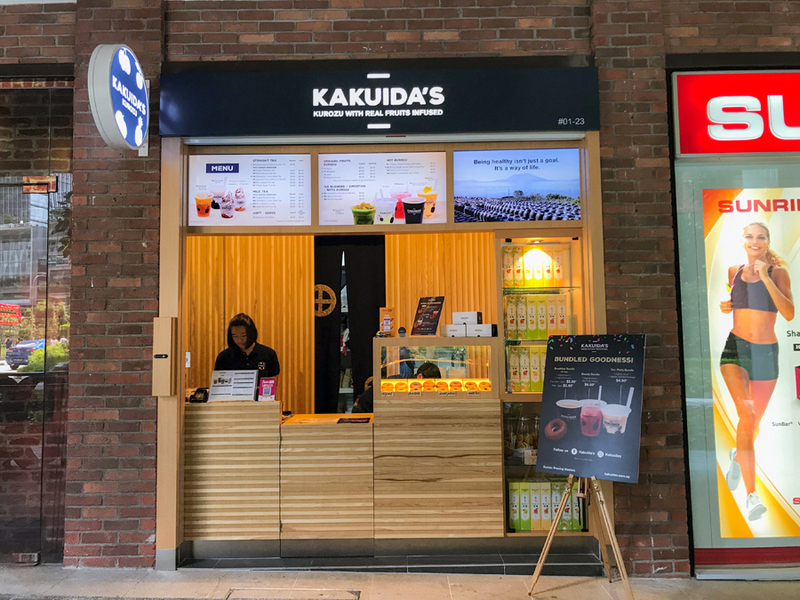 There are also more vinegar specialty drink stores opening up in Singapore, such as True Boss 醋頭家 at Northpoint City and Kakuida’s at Icon Village Tanjong Pagar. 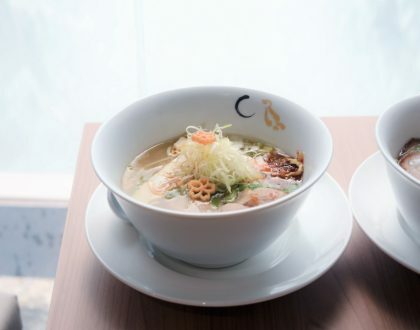 It is created by fermenting brown rice, using a traditional process that dates back over 200 years. 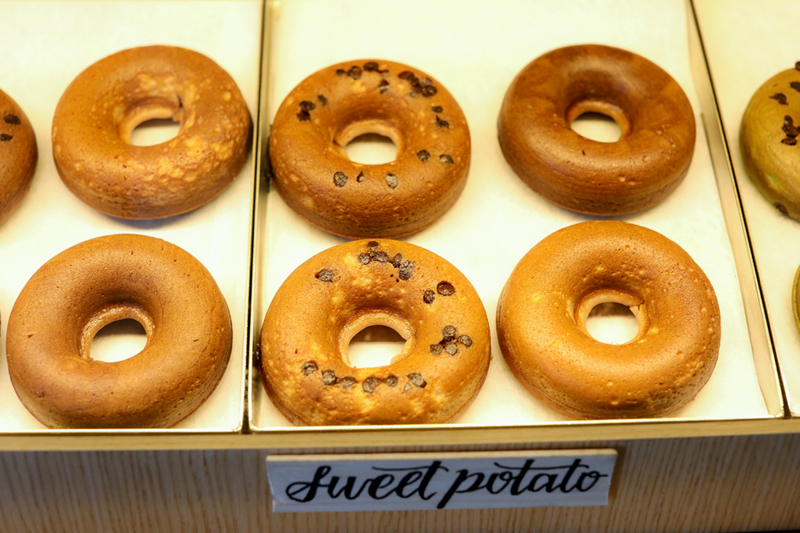 Kurozu has a earthy taste as well as dark, caramel brown colour, widely consumed in Japanese for health and beauty reasons. 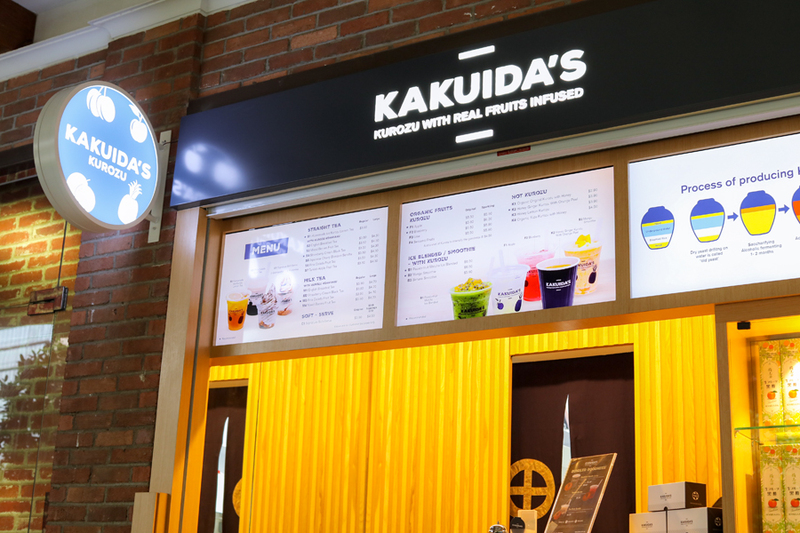 As for the Kakuida’s brand, it is the second largest kurozu producers in Kagoshima, with a menu in numerous restaurants and periodically served in ANA’s business class. The kiosk with 2 foldable tables outside looked slightly inconspicuous, and you may just walk past without noticing it. 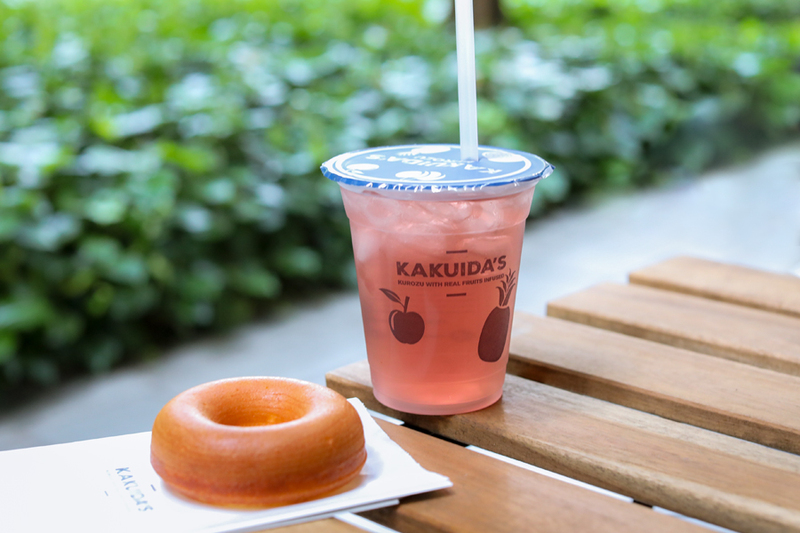 If you need some refreshing drink with vinegar, the recommended ones are Pina Colada Fruit Tea with Kurozu Konnyaku, and Organic Apple Kurozu in which the apples used are Nagano, Japan. 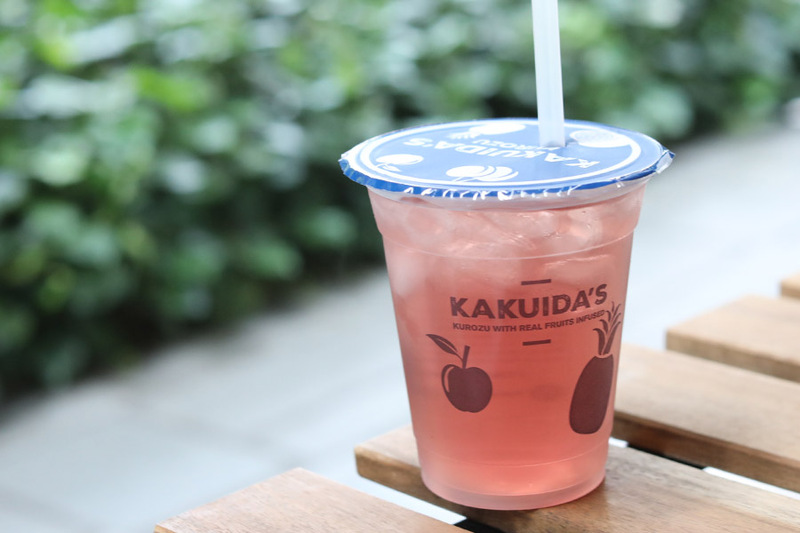 As I am used to drinking other types of vinegar (such as apple cider), I was initially surprised that the drink I had didn’t have that sharp taste, and was more mellow and subtle. 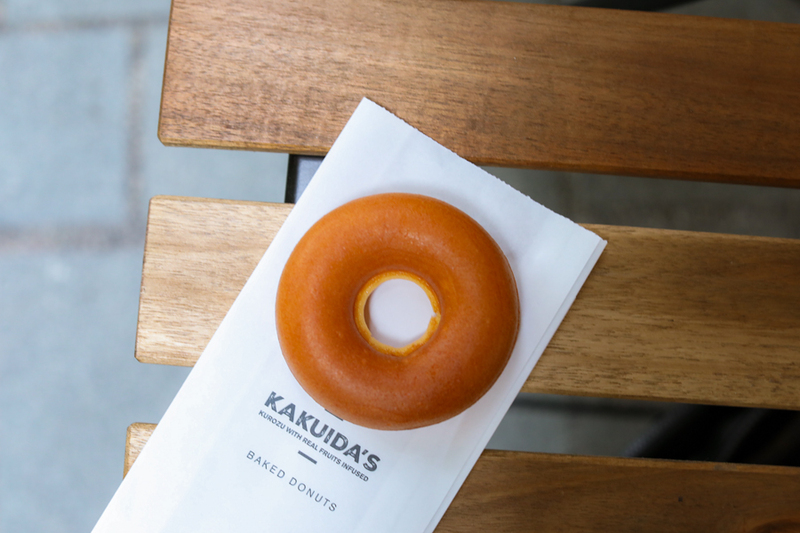 The donuts are made using rice flour imported from Japan, added with kurozu to enhance the flavour. 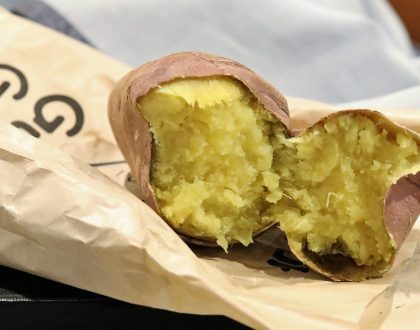 While I also couldn’t quite taste the vinegar within, I enjoyed its bouncy-soft texture. 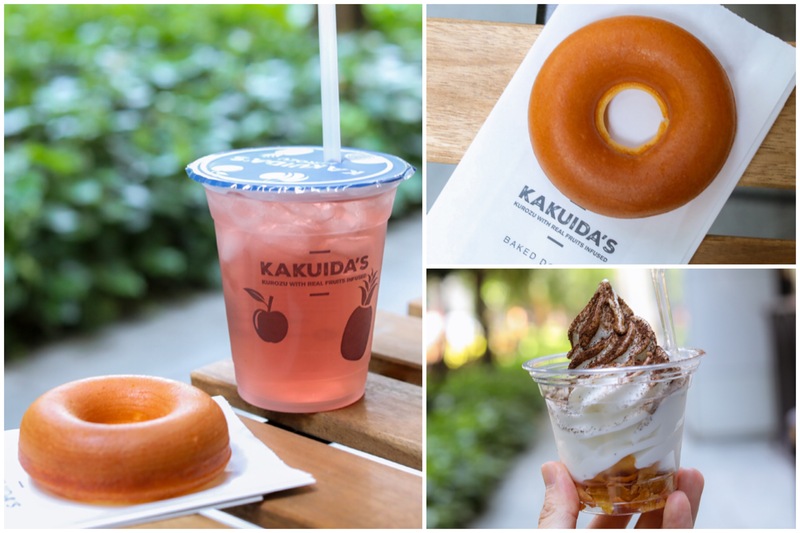 Not quite like your American Krispy Kreme or Japanese Haritts Donuts, the sweetness and feel reminded med of a Japanese Castella Cake (not the Taiwanese fluffy kind). 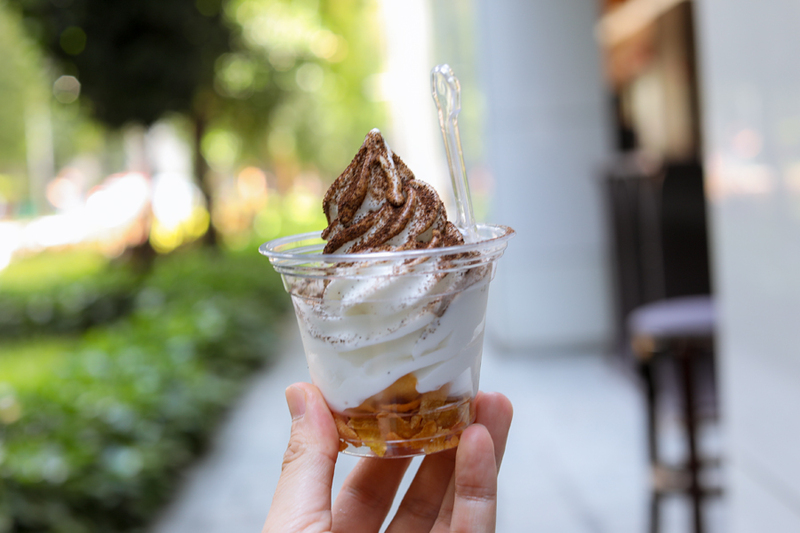 Its Signature Soft-Serve with Genmaicha ($4.50) with “black vinegar” soft-serve paired with a unique topping of roasted brown rice tea, was slightly more forgettable. Perhaps it was because it was slightly too sweet for me.